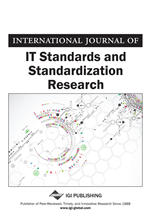 The purpose of this paper is to develop a research model for the driver and inhibitors to a modular software industry. A modular software industry is characterized by specialized software component producers instead of highly integrated firms that offer monolithic software systems. The research model we present is a synthesis of different and sometimes competing research traditions (e.g., system theory, transaction cost theory, and the resource-based view). Besides the theoretical foundation, the research model also incorporates insights from the analysis of 11 in-depth interviews that were conducted with experts from the automotive, IT, finance, and insurance industries.